Thunderstorms during the morning will give way to mostly cloudy skies and gusty winds this afternoon. Gusty winds and small hail are possible. High 68F. NW winds at 5 to 10 mph, increasing to 20 to 30 mph. Chance of rain 100%.. Some clouds. Low 43F. Winds NNW at 15 to 25 mph. 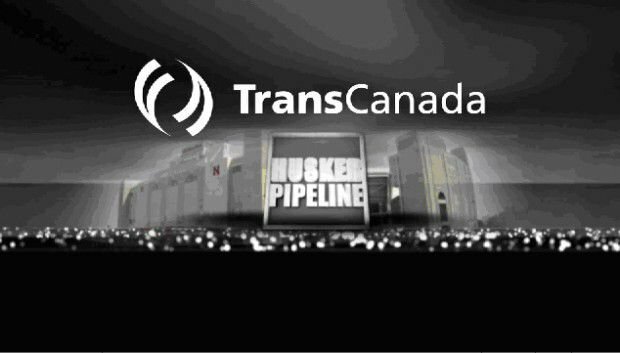 Screen shot of the TransCanada Husker Pipeline video playing on Huskers.com. For Allen Schreiber, oil and Husker football don't mix. The Lincoln man spent the Sept. 3-4 weekend protesting the proposed TransCanada Keystone XL pipeline in front of the White House. On Saturday, he joined thousands of fellow Husker fans inside Memorial Stadium cheering their team to victory over Fresno State. A highlights video for the Huskers' 1978 conference championship football team appeared on the giant HuskerVision screen inside the stadium. When the logo for the video's sponsor appeared at the beginning and end, people in the stands began booing. "To me, that was just a real strong gut punch as a Nebraskan," Schreiber said. 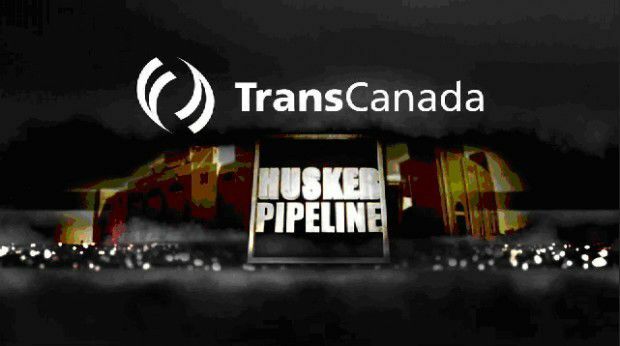 To him and others who saw the video titled the "Husker Pipeline," it appeared to be an advertisement for sponsor TransCanada. The University of Nebraska-Lincoln athletic department ended the sponsorship agreement Wednesday after fans and others complained. "I want to make it clear that the athletic department has no position, either pro or con, regarding the proposed TransCanada Pipeline," Athletic Director Tom Osborne said in a statement Wednesday afternoon. Osborne said the athletic department's marketing partner, IMG College, and the Husker Sports Network signed the sponsorship arrangement with TransCanada in April, before the proposed Keystone XL pipeline became so controversial. "We have certain principles regarding advertising in the stadium such as no alcohol, tobacco or gambling advertisements. We also avoid ads of a political nature," he said. "Over the last two or three months, the pipeline issue has been increasingly politicized. Our athletic events are intended to entertain and unify our fan base by providing an experience that is not divisive." He said he regretted having to end the sponsorship deal, adding that TransCanada and IMG/Husker Sports Network had acted honorably and "with best intentions." TransCanada spokesman Jeff Rauh said the company was disappointed by the decision. "We're proud to be active members in the community and sponsors of Husker football," he said. "Our sponsorship of the Huskers is something that our employees have encouraged and valued." He said TransCanada has offices in Omaha and has had a presence in Nebraska since the early 1980s. The company has received supportive comments about its Husker sponsorship from landowners and other pipeline stakeholders, Rauh said. TransCanada plans to divert the money it would have spent on its Husker sponsorship toward nonprofits in Nebraska. Rauh said the company donated $137,000 in Nebraska in 2010 and $500,000 since 2007. "We'll redeploy those funds for other purposes here in the state," he said. Those who oppose the Keystone XL pipeline say the video attempted to draw connections between the Huskers' tradition of strong offensive lines and TransCanada. They said it was unfair for the company to attempt to associate itself with Husker football when it was in the midst of trying to gain approval for its controversial pipeline. The pipeline would carry Canadian oil across Nebraska and several other states and cross the Ogallala Aquifer, which supplies water for drinking and irrigation to parts of several states. Several elected officials in Nebraska, including Gov. Dave Heineman and its two senators, have raised concerns about the pipeline and its proposed route, which would cross the Nebraska Sandhills. "We wish they would take their message elsewhere, because Nebraskans are not buying their message," said Jane Kleeb, executive director of BOLD Nebraska. Tyson Johnson, a senior UNL political science and economics major from Daykin, said he saw the TransCanada-sponsored highlights video at the Chattanooga game Sept. 3. Johnson, who was arrested along with hundreds of others outside the White House on Aug. 22 while protesting the Keystone XL, said he also saw an advertisement for TransCanada while watching the Nebraska-Fresno State game on Saturday on the Big Ten Network. "I was displeased to see that TransCanada was getting any kind of air time at a football game," he said. Kleeb said she worked with an advertising agency to estimate how much TransCanada has spent on advertising in Nebraska and discovered the company had spent about $200,000 over a recent two-week period. Rauh, who said he couldn't confirm Kleeb's estimate, said TransCanada's advertising efforts are meant to provide Nebraskans with information about the pipeline. "I certainly think it's incumbent upon us to share factual information about the project," he said. Reach Kevin Abourezk at 402-473-7225 or kabourezk@journalstar.com. Looking to sell your house? Replacing your roof can help!